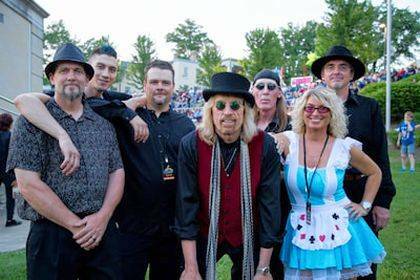 King’s Highway, A Tom Petty Tribute Band will perform at 7 p.m. Wednesday, July 4, at Grimes Field. One of five free summer concerts in a series presented by the Champaign County Arts Council, this concert also is a part of a day and evening full of activities at Grimes Field that will conclude with fireworks at dusk. Visitors are invited to bring lawn chairs and/or blankets for the concert and fireworks.